BP Note: So a few of us Book Pushers are HUGE epic fantasy fans. And when we say huge we don’t just mean we enjoy the reading them but our favorites are rather lengthy so we can be swept away in the world for a much longer period of time. 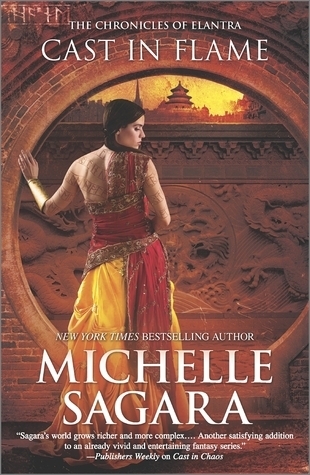 As a result, we are very pleased to have Michelle Sagara, author of several epic fantasy series, visiting us today in honor of her upcoming Cast in Flame release. We have a review coming up in the late post today.Because this series is such a favorite we are sponsoring a little giveaway. Prize(s) and instructions are at the end of the interview. Michelle, thank you for joining up! BP: What attracts you to writing Fantasy/Fantasy Romance? Michelle: The short answer is: I love to read fantasy. I always have. 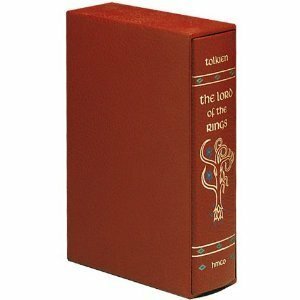 I read the Narnia books when I was seven or eight (they were a Christmas gift from my godmother); I read the Weirdstone of Brisingamen at the same age (it made me claustrophic for life). None of my friends at the time were big readers, and in later elementary school, those who were read Judy Blume. But reading Judy Blume was like reading a cross-section of the life I saw played out every day, and — I wanted a bit more out of reading than that. I started to write in part because of what reading meant to me. I wanted to write books that moved readers the way I had once been moved; that meant to them what they meant to me. And of course because of that, I started to write fantasy: it’s what I read most, and what moved me most. BP: When your brain runs out of words or needs to recharge what do you turn to? When that happens, I will often read manga, or web-toons these days. It’s a different medium and therefore much harder to compare. What I want is to be moved. I have comfort books that move me; I have challenging or disturbing books that move me. If, however, I can’t engage with anything, I will play video games. BP: From your years working in a bookstore, what would you recommend as a gateway to Science Fiction, Fantasy, and Romance? Michelle: This one is harder. It depends entirely on the reader, and on how much they read outside of the genre. For younger readers who aren’t all that interested in reading, the ubiquitous Harry Potter, Hunger Games, and Twilight. The latter always causes some raised eyebrows when suggested, but if you’ve got a twelve year old girl who will not read, it’s almost fool-proof. When someone tells me they want children to read good books, I point out that ‘good’ is subjective. If they want their children to read, to be life-long readers, what they want is to introduce them to books they will want to finish. I read every Nancy Drew book I could find—including the older variants (there were two sets, when I started: the originals, and the rewrites of the originals with more ‘modern’ covers. No one would argue that these were good, literary works. But six year old me liked the characters, and liked daydreaming about being a girl detective. For older readers who want to know what genre is about, it’s trickier. In the bookstore, I ask for three books that the reader has loved—any book. I read outside of genre as well as in. If I overlap, I can triangulate a reader map, and look for things that suit the tone & voice. I have started people on Cloud Atlas. I’ve started them on Old Man’s War, by John Scalzi. I’ve started them on Anne Bishop’s Dark Jewels trilogy (a reader wrote to me because she’d read Cast in Shadow. She’d picked the book up because the cover looked like a Paranormal Romance cover—but it wasn’t, and she really, really liked the book, so she wanted recommendations of books that were similar). I have a customer at the store who hates 90% of anything I like. (“Don’t touch that one—I don’t want to listen to you complain about it for the next five years.”) The 10% overlaps with what the store manager reads and likes, so I can find books that he’ll like. I don’t have to like the books myself. But I do want to match people to books they’ll like. BP: Which book do you most want to read again for the first time? Michelle: Lord of the Rings. I think I‘ve answered this question six different ways, because it’s almost interchangeable with “what are your favorite books in the history of reading, ever”. But I eventually settled on Lord of the Rings because I read it when I was much younger—and then read it once a year (or more) until I had children. It had an enormous effect on my desire to write. There are many ways in which it hasn’t aged well. There are people who are passionate readers who cannot get through it once, now. But I read it when I was a far, far less critical reader, and it moved me to tears and to awe at the majesty of the ancient and the wild and the things that were not of the, and would never be simply, mortal—but were beautiful, regardless. And that—that sense of wonder—I would love to experience again for the first time. BP: Did you always plan to focus on each of the major species inhabiting Elantra or did that develop over time? Michelle: Yes, actually. Some people love worldbuilding as a process. One of the writers I most respect starts with maps and geology and geography and grows from there. I am not that writer, sadly. I will do the work, but for me it’s like washing dishes. It does not make me sing with joy—it needs to be done. So with the Cast novels, I wanted two things. I wanted to write a series that, like TV series, had episodes that were self-contained. And I wanted to create a world in which I had room to expand and explore. Because then I would not be recreating the world every three books. But at the same time, if the world was too small, there would be nothing for me to discover and explore – and that leads, in the end, to boredom. And no one wants to read a book that bored its author. Trust me. BP: What’s in store for Kaylin’s future? Any secrets you can share? BP: Coffee or Tea? Morning person or night owl? Michelle: Both coffee and tea. I like mild coffee blends—and was very surprised to find out that it’s the mild, not the dark roasts, that have the most caffeine (it seems counter intuitive to me). I like Good Earth Original blend tea—it’s mostly cinnamon, with a bit of built-in sweetness. I am not, on the other hand, a morning person. Unless I’m in Australia. People told me when I had children that I would become a morning person. It is true that I learned to wake up. It is not true that this then became the desired norm—and now that the kids are older, I sleep. I tend to work at night when there are too many day-time interruptions, and sleep in. Also: I tend to overfocus, so I often ignore the mental signals that sleep is incoming. I don’t recommend this if you have any choice, though. 1. I know Cory Doctorow in real life. I don’t have a driver’s license. I have lived in Toronto (or its environs) all my life, and I put off getting a driver’s license because it would take time, and there was a perfectly good transit system at hand. People who grew up outside of cities with transit systems always find the lack surprising. BP: Which character has surprised you the most with fan comments? Michelle: It’s a tie. In my older work: Sendari (a character in The Sun Sword). He’s very polarizing, and a number of women have made it clear how very, very much they despise him. It wasn’t the reaction I was expecting. (My mother is one of them.) For the record, I think he’s very much a product of his culture and his place in it, as a non-athletic second son. The other is Amy Snitman in Silence. I did not expect people to like her; I did expect them to tolerate her. But a few readers have let me know that she’s their favorite character. Oh, all right, and one more: the Arkon. The Arkon seems—to me—to be the type of character that people would dislike because he is both enormously intellectual on a number of fronts and enormously condescending when irritated—and he’s frequently irritated. I personally like him a great deal, but expected that people would resent him a lot more than they do. This is kind of why I tend to write the characters and leave them as they are—I can’t actually predict what will, and will not, work for readers, reading is so individual. BP: What other future projects are you working on? BP: We would like to thanks Michelle again for spending time with us. And because we like this series so much we are offering a digital copy of either Cast in Moonlight #0.5 and Cast in Shadow #1 (yes both) or Cast in Flame #10 anywhere we can gift it. That way if you haven’t started started the series yet and you are interested we will help you start at the beginning. To enter answer one of the questions we asked Michelle AND let us know if this will be your introduction to the Cast series or not. Winner(s) will be announced on the 1st. Good luck! And don’t forget to check out our review in the late post today. I am a huge Chronicles of Elantra fan and I can’t wait for Cast in Flame. It became my favorite series overtime and its choke-full of great characters including the Arkon. The question of “which book do you most want to read again for the first time” is a great one and a difficult one. It might be Cast in Shadows or maybe Daughters of the Forest by Juliet Marillier . I’d recommend a new reader to try the Pern series. Michelle is a new author to me; would love to win a book of hers! First off, I am new to the series, so getting the first two stories would be great. Second, lemme see…not a morning person–and I completely agree with Michelle, having kids didn’t change this, only helped become able to function at ungodly hours. Oh and on the caffeine content of different roasts: I used to believe that the roasting process changed the caffeine content of the beans, but I have been enlightened (see http://www.scribblerscoffee.com/coffees_caffeine.htm) Interesting, eh? great interview ladies, thank you! I love this series so much! It is one of the few fantasy series I still read at the moment. I am a tea person, and a morning person if you want to see me being active. Don’t enter me, I only want these books as paper books. Coffee or Tea? Morning person or night owl? This would be my intro to the series. It sounds great! Great interview. I love the Elantra series and Sacred Hunt/Sun Sword/House War books as well (so happy to hear that the draft of Oracle is done, happydance 🙂 ). Michelle’s other series are on my TBR pile. If I am selected, I would love Cast in Flame. I am really looking forward to this installment of the series. Coffee in the morning and tea in the afternoon and at night. I am not a morning person – at least not before I’ve had my first cup of coffee. 1. Long time reader of the series and so very excited for Flame. 2. I reread pretty much everything I enjoyed once, but I think I’d have to go back to my childhood favorites: A Wrinkle in Time. It was my first SciFi and I remember my 4th grade teacher suggesting it, reading it, discovering a passage was also in our English book and asking on a regular basis when the class would read it. I just couldn’t imagine that everyone else wouldn’t be as captivated by it as I was. Sadly, they weren’t, but that didn’t stop me from reading every other book I could find in the world once or twice a year. I’m a long-time fan of the Elantra series and of Michelle’s other works. Morning Person or Night Owl? Morning person, until my daughter gets up – she was delightful in the mornings until she was about 8 years old and after that gradually deteriorated into someone who is the antithesis of morning person and can put my back up in two minutes or less – after an hour or so she is her normal happy self and so am I! I’d love to read Robin McKinley’s Beauty for the first time again! I’d like to be entered for the first two books digitally. Thank you! I am a fan of the Elantra series and am current on them so I would love Cast in Flames. I am a morning person and a tea drinker! My very favorite tea is Assam. See you at the tea shop for tea and scones! I am a coffee person in the morning and tea person in the afternoon. I am a night owl and not a morning person. This would be my first time reading this series. I haven’t read any of the books. Neither coffee or tea, diet coke. I’ve read the entire series. It’s not one of my top 5, but it’s up there. You wouldn’t know to ask if I could use sign language. I can. My son has a profound hearing loss. I absolutely love the Elantra series! I devoured each book as it came out and waited (sort of) patiently for the next installment. It’s a truly rare series that makes me want to go back and read it from the beginning every time a new book comes out! I can’t wait to get my hands on Cast in Flame. As for the questions, well, when I need to recharge my brain, I read too. I have my “go to” books depending on my mood, but I’ll read whatever grabs me. If I am too far gone to read, I love crossword puzzles and soduku. Somehow they are simultaneously relaxing and energizing when my mind has gone to mush. THANK YOU!! Definitely tea, and not a morning person! I’ve been a fan of the series since it was first released. I find it interesting to watch the character progression, and also the writing over a long series. I don’t care for hardcovers or trade paperback, so I’m only interested in Flame if it’s digital or a mass market. Otherwise, I’d love the first two as digital. That way, I can re-read them anytime and take them travelling. Yes, I re-read books. Often. Very often when they’re good. I’m a big fan of Cronicals of Elantra and can’t wait to get my hands on Cast in Flame. I’m interested in the beginning books, since I’ve already pre-ordered Cast in Flame. I’m missing the first four books in this series and I like to re-read this series a few times per year. Yes! It’s just that great a series. I drink neither tea or coffee in the morning… Bring on the diet coke. I agree with Michele, having kids didn’t turn me into a morning person. I have to force myself through the hellish morning hours. I’m a night owl and the perfect morning is one I can sleep through. I’m a night owl. This will be my introduction to the Cast series. Thanks for introducing a new author to me Book Pushers! This series sounds great. And Michelle I am with you on LOTR, I also read it young and so it will forever be an amazing series. This would be my introduction to the series. Hi! I’m new to the series. So it would be great to win the first two books. I’m definitely not a morning person. Although lately I always wake up at 8am no matter the time I sleep in. I drink tea and water. I love coffee, but sadly have the opposite reaction to caffeine as normal. It’s like I just drank a sleeping potion. Thankfully there’s decaf with lots of milk. I just discovered I have different digital copies of Cast in Shadow (which I’ve not yet read). I’ve read other books by Ms. Sagara, but not this series. (Should I start with Cast in Shadow or Cast in Moonlight, which I don’t have?). I am not a morning person. I don’t have kids, but I’ve often been told I will get used to getting up early and it’s better to do so. I am no longer young, and I don’t believe them yet. (I’m not convinced that getting up and stumbling around for the first hours really improves my day in any way.) I do drink coffee in the morning. Sometimes tea in the afternoon. No soda … I gave that up.